Baroque music is a style of Western art music composed from approximately 1600 to 1750. This era followed the Renaissance music era, and was followed in turn by the Classical era. 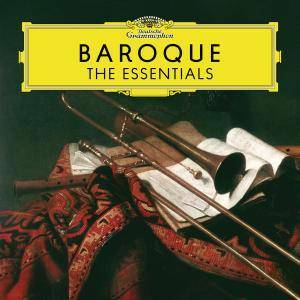 Baroque music forms a major portion of the "classical music" canon, and is now widely studied, performed, and listened to. Key composers of the Baroque era include Johann Sebastian Bach, Antonio Vivaldi, George Frideric Handel, Claudio Monteverdi, Domenico Scarlatti, Alessandro Scarlatti, Henry Purcell, Georg Philipp Telemann, Jean-Baptiste Lully, Jean-Philippe Rameau, Marc-Antoine Charpentier, Arcangelo Corelli, Tomaso Albinoni, François Couperin, Giuseppe Tartini, Heinrich Schütz, Giovanni Battista Pergolesi, Dieterich Buxtehude, and Johann Pachelbel. 06. Handel: Serse / Act 1 HWV40-"Ombra mai fu"
12. Handel: Messiah, HWV 56 / Pt. 2-"Hallelujah"